Yes, I know that there is a fresh coating of dust on here, but I am happy to report that writing and other insanity is finally returning to my life. I have even completed a short story for a writing request. Yup, after over a year of manuals, protocols, and other business nonsense, it feels good to finally sling a little fiction. I will keep you posted on the story and its progress. This week on Geek Tank Radio (http://www.geektankradio.com), I get to discuss the upcoming missions to to our planetary neighbors Neptune and Uranus. Start giggling now, the missions will to be to probe for gasses. I will let you make your jokes. I also follow up on Yellowstone Park and the increasing number of earthquakes in the that area. Then I get to tackle the spooky side of physics with news about making entangled photons and the possible uses for the little darlings. Don’t forget about the new swag at the Geek Tank Radio (http://www.geektankradio.com) website. Geek Tank Radio – Anime Blues Con, Comic Con, The Terminator, and More! I have to say that I enjoy doing this show! Listen in as Lara Johnson jumps in with the Geek Patrol to make a Bad Geek Confession and dish on the Anime Blues Con, Comic Con, The Terminator, and more …. This coming weekend is going to be a blast. Friday night is Goth at the Gallery. IONS Gallery is hosting a Goth night where you can do your best Goth Distraught in 30 seconds or less and maybe even when a prize for it! 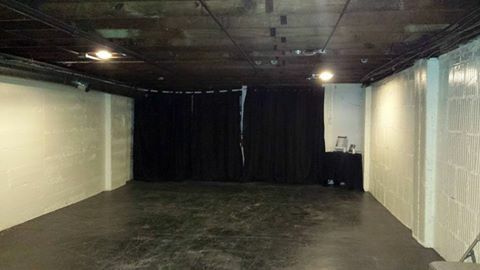 Saturday night is going to be the Paranormal 101 workshop and investigation at the gallery. Expedition Unknown will be there to show people the tricks and tools of the trade while giving the attendees a glimpse back into the rough and tumble days of downtown Memphis. As a quick note, I would like to thank everyone I met and chatted with at the UFO Day Festival. In spite of everything, I had a good time with everyone. 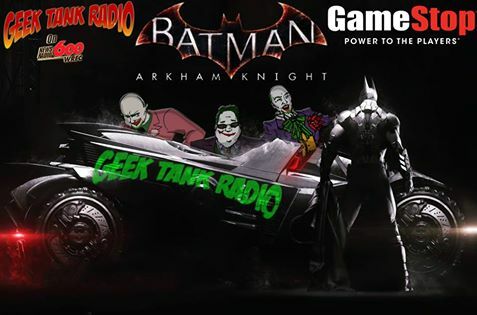 Join Allan Gilbreath and the GEEK PATROL on Monday, June 22nd, at the Park Ave (Memphis, TN) GAMESTOP as we countdown the midnight release of BATMAN: ARKHAM KNIGHT!